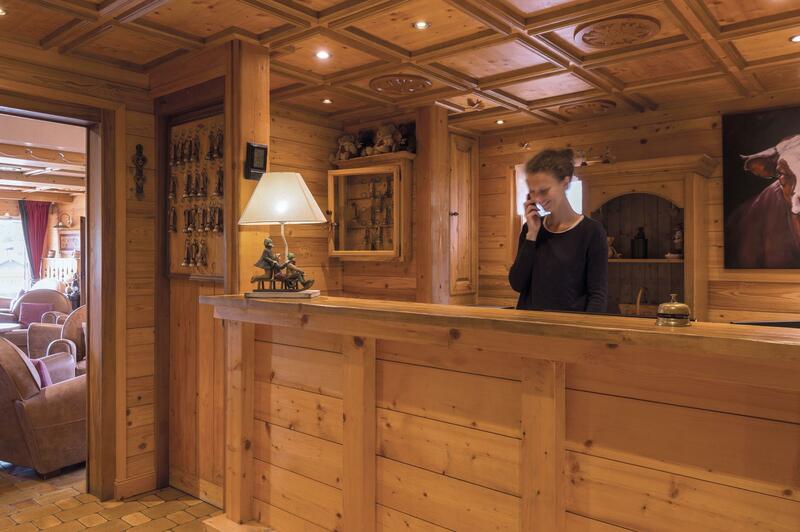 Rent a self-catering apartment in Les Gets, Portes du Soleil. 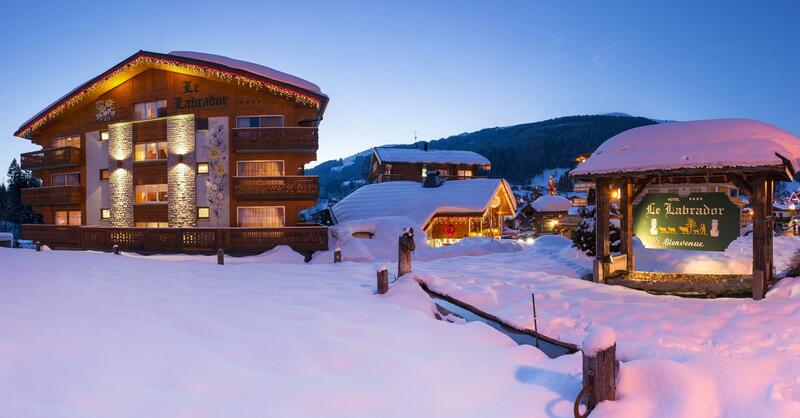 ‘Residence Labrador’ in Les Gets, Portes du Soleil is a group of 13 rental apartments, near Morzine and Avoriaz. They are located across four floors and range in size between 45-80 m² (480-860 sq ft). The apartments can sleep 2-8 people. Whether you are travelling alone, as a couple, with friends or as a family, you are sure to find a room and a package to suit you. Conveniently located near the ski pistes for winter and hiking trails and golf tees for summer, each apartment is tastefully furnished and decorated. You are guaranteed a thoroughly comfortable stay by the mountains while recharging your batteries! Relaxation and wellness guaranteed thanks to our spa - pool facilities, (a small supplementary charge will be made). Give your taste buds a treat with our local and traditional cuisine served in the restaurant La Table du Saint-Laurent. Enjoy the peace and tranquillity of our hotel and admire the spectacular views over the pistes around la Turche and the summit of the Pic du Marcelly. A traditional, self-catering rental package. 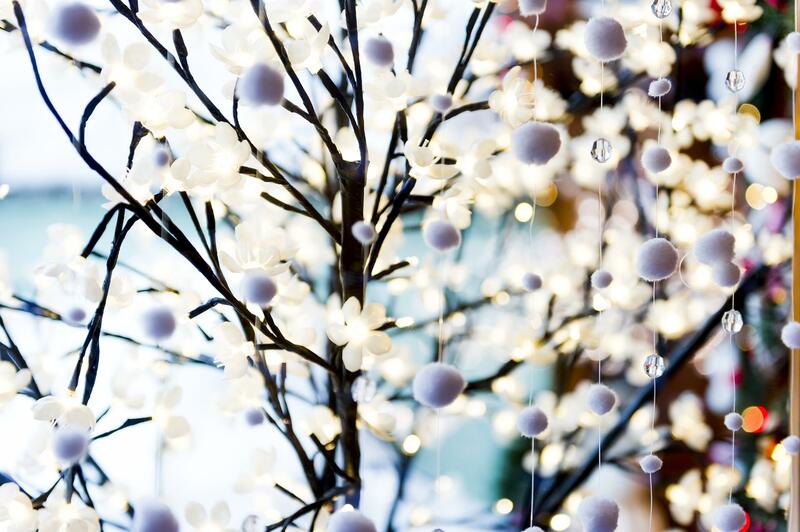 A rental package with full hotel service complete with either half-board or breakfast only. If you opt for the full hotel package, you are entitled to enjoy all the services of our four star hotel. The entrance hall leads into the living/dining room and a well-equipped kitchenette. The bedrooms are tastefully decorated with double beds (140 cm) for the adults and twin beds (90 cm) or trundle beds (80 cm) for the children. 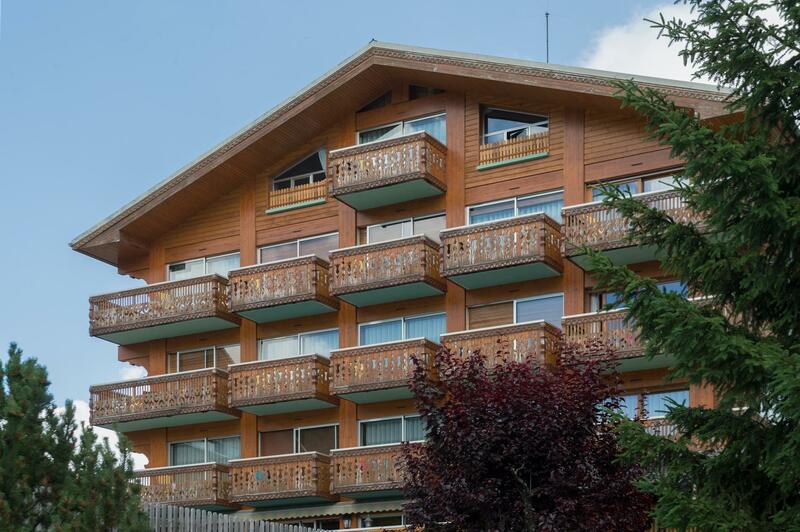 The apartments are conveniently located in the heart of the Alps, near to the shops and a stone’s throw from the ski pistes and the ski resort of Les Gets within the Portes du Soleil ski area. (For further information regarding apartment rental with the full hotel service package, please contact us either by phone or by email). Services available: There are duvets on the beds; sheets are provided and the beds are made for you before you arrive. There is free Wi-Fi and a wall safe for valuables; a cot and high chair are also available if needed. Towels are provided. An espresso coffee maker is made available for you. There is a baker’s shop just nearby, open every day from 7:30am. Please place your orders with reception the evening before. We can also arrange to have meals delivered directly to your apartment. There are communal washing machines and tumble driers operated by tokens which you can buy from the hotel reception. For an additional fee, a housekeeper may be hired to clean your apartment at the end of your stay. Free outdoor parking. There is an option to rent a garage. During the winter months, there are individual ski lockers available nearby and a ski room equipped with electric boot dryers. 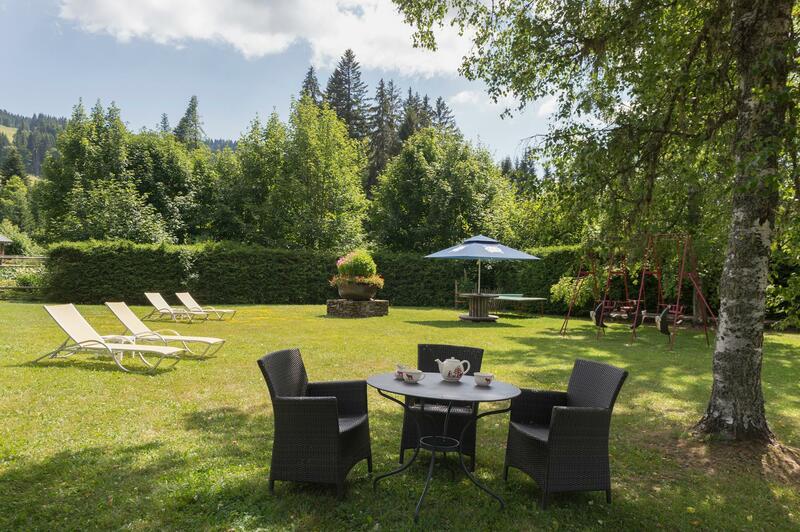 In summer : there is a hut to store mountain bikes, a large park for children to play in; a heated, outdoor swimming pool, tennis courts, a ‘pétanque’ (bowling) field, table-tennis, and discounted rates for the 18-hole golf course at Les Gets.